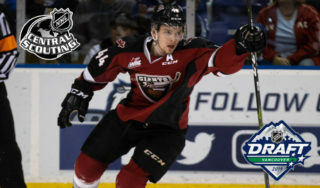 Tonight in Langley, the Vancouver Giants wrap up the home portion of their November schedule when they take the ice against the Saskatoon Blades for the first and only time this season. 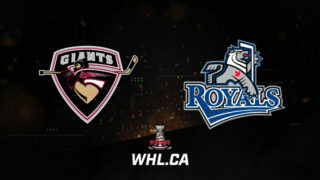 The Giants come into tonight’s game riding a two-game winning streak while the Blades are coming off a 4-1 road victory Saturday in Prince George. 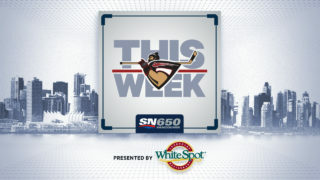 Tonight’s game will mark Game #2 of a six-game swing for the Blades through the B.C. Division. 2001-born forward Kirby Dach (Fort Saskatchewan, AB) will likely be one of the first WHL players selected in the 2019 NHL Draft. The 6’3, 195-pound forward comes into tonight’s game with 13 goals and 26 assists. His 39 points leads his team, has him tied for sixth in WHL scoring and ranks him tops among all WHL draft eligible players. Dach was selected second overall in the 2016 WHL Bantam Draft, one pick before the Giants selected defenceman Bowen Byram. Byram and Dach were teammates this summer with Team Canada during their gold medal run at the 2018 Hlinka Gretzky Cup. He’s gone two games now without a point, but prior to that he had managed three goals and nine assists for 12 points in a span of six games. 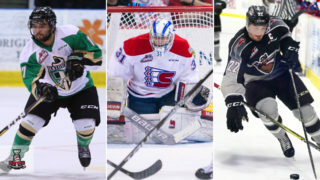 The Saskatoon Blades will have a familiar face in their lineup when they battle the Giants tonight. 1999-born defenceman Nolan Kneen was acquired by the Blades in a trade yesterday with Kamloops. Kneen, a third overall pick by the Blazers in 2014 brings 216 career WHL games of experience to the Blades. This season he’s recorded four goals and 16 assists for 20 points through 22 games. Kneen has suited up in 21 career games against the Giants and has recorded a goal and five assists. Last Game: A 4-1 win at home on Saturday night against Victoria. Davis Koch and Dylan Plouffe both come into tonight’s game riding five-game point streaks. Up front, Koch has notched three goals and seven assists for 10 points over the course of his past five games and currently sits tied for first in team scoring with Milos Roman. On the back-end Dylan Plouffe has notched two goals and five assists for seven points in his past five games. Plouffe sits second on the team in scoring among defencemen and is tied for the team lead in plus-minus with a +7 rating. The Vancouver Giants power play is surging as of late. Over the past five games, the Giants have gone 8/29 on the man advantage to secure a 27.5% success rate. The Giants have also added two shorthanded goals in that span. On the flip side, the Giants penalty kill is 25/28 over those last five games. Tonight marks just the second time ever that Bowen Byram and Kirby Dach have gone head-to-head in WHL competition. 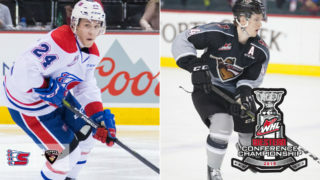 Dach and Byram were drafted second and third overall respectively in the 2016 WHL Bantam Draft and both have gone on to have terrific starts to their WHL careers. 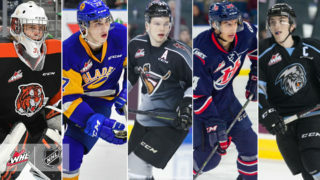 Both Dach and Byram could conceivably be the first WHL player(s) selected in the 2019 NHL Draft. Byram comes into tonight’s game tied for the league lead in goals for defencemen with seven. The Dach vs. Byram matchup alone is worth the price of admission tonight at the LEC!